Tarrant County Texas Police Office beats a 15-year-old child on orders from Judge Jean Hudson-Boyd. The child has been brian damaged. Police beat 15-year-old Valence Smith in order to obtain a mandatory report from medical doctors of "imminent danger" to children of Smith family. Why? because it is grounds for issuance of warrant to steal children. Judge Jean Hudson-Boyd had become angry and frustrated by the Smith's because they had put up such a strong legal fight against her minions in CPS. The video, posted on YouTube, shows a Tarrant County Texas Police Officer beating a child for no good reason whatsoever. Yes this is an OUTRAGE ! These are the words of Van Mark Smith. Judge Jean Hudson-Boyd enlisted police as her minions and in a classic circular function had them beat a child in order to take the remaining children. Why? Judge Jean Hudson-Boyd operates an extremely lucrative business of medical fraud, child trafficking, drugging children, etc. and as you can see, adjudicating injury to children for profit. The injury to Valence Smiith has proven to be permanent, and now he has the mind of a child permanently. Where is Valence NOW? Judge Jean Hudson-Boyd said in her courtroom that she would take Leithra Moore and in February 22, 2013, Valence was carrying his niece, and police stole her and arrested him on a false charge of child endangerment. Currently, Valence has been deemed unable to stand trial by his court appointed psychologist. Judge Jean Hudson-Boyd has had the criminal court Judge George Gallager jail Valence without trial. Why is Valence Smith unable to stand trial on false charges? Because as you see in this video he was damaged by police. Valence looks at his family from behind jail glass and begs each of us to take him home. He has no idea why he is in jail, but we all know it is the hatred of a racist, money lusting Judge Jean Hudson-Boyd. Valence father is Indian and his mother is white and with lots of children so Judge Jean Hudson-Boyd sees dollar signs. See Vanna Smith. Valance has been harassed, detained and arrested by Bedford Police for Judge Jean Hudson-Boyd in her effort to discredit Valence and blame him for them beating him. "Captain Van Mark Smith, retired in good standing with American Airlines, passed away on October 30th, 2014. He was my good friend and I will grieve his passing for a long time. It is my belief his untimely death was owing to the stress promulgated by Tarrant County C.P.S. and the 323rd District Juvenile Court. 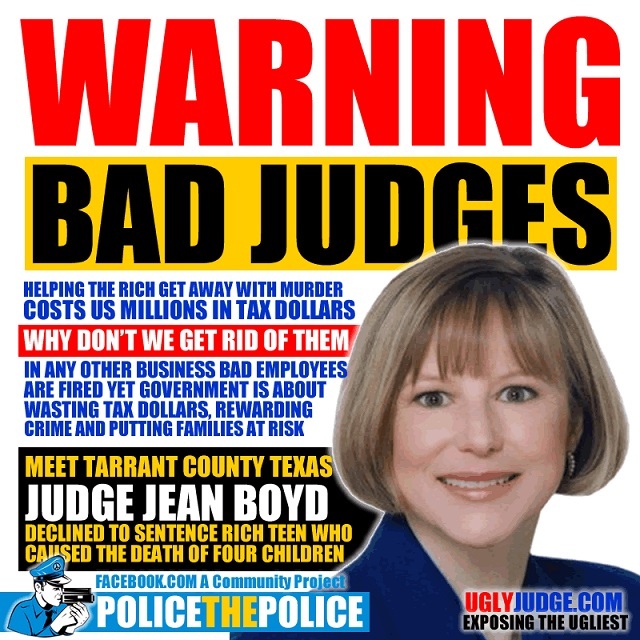 "Judge Jean Hudson Boyd should be prosecuted for her crimes against children and parents in Tarrant County. She initiated a full blown attack against the Smith family. They spent a fortune fighting the thugs in Tarrant County C.P.S. "Van helped me with my case as well. Boyd allowed my I.C.P.C. background check, done by the F.B.I. for the state of Utah, to be falsified, so she could adopt my grandchildren out to a couple involved with C.A.S.A., and the Masonic Order. Their names are Ron and Carole Blackmon, of Lake Dallas, Texas, and they are alarmingly corpulent, in their late forties. "Reports of child abuse perpetrated by this couple on my grandchildren have been numerous. "Also, Van Mark's granddaughter is lost in the system. To my knowledge, Valance has not yet been returned to his family. One of their other daughter's was arrested trying to protect her father from a Tarrant County C.P.S. case worker. 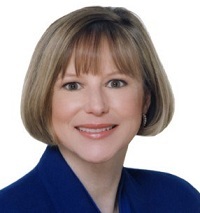 "Judge Jean Hudson Boyd is a woman who needs to be charged and tried for her crimes against children and parents in Tarrant County. She is nothing less than a Nazi.